A fourth fruit tree has been planted today to replace yet another vandalised tree. This time it’s a Howgate Wonder apple. it holds the world record for the weight of an apple and can be used to make cider! It has a local connection too: first raised in 1915 by Mr George Wratten, a retired policeman from Camberwell who had moved to the Isle of Wright. We hope this 1/2 standard tree will produce huge sweet cooking apples in mid to late Autumn. 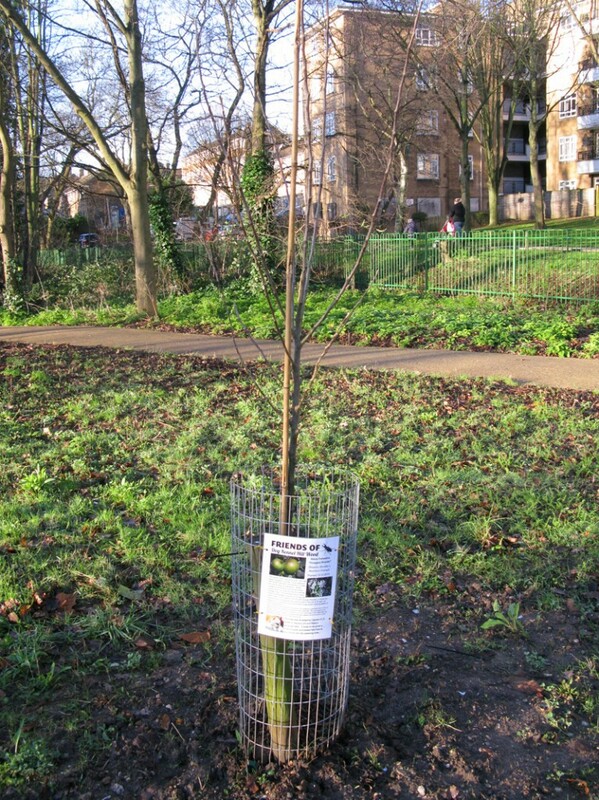 This tree was donated by Captain D. D. Smith in memory of Lord Nelson, a much loved dog.